Kids crafts - free childrens activities and gifts for kids. Free Kids Crafts and childrens gift ideas. Kids gifts ideas to surprise and delight the children we love. could spend more time being creative? You have discovered creative gifts and ideas to delight the children you love! Do you want to give gifts that will be remembered for years to come? The gift that is remembered is the message of love from the adult who found the time to create a special memory for their child. But how do you create those children's memories? Spending time is the best gift. But here's another gift idea that works even when you can't spend as much time with your children as you wish. Kids love getting mail. Imagine the look on your children or grandchildren's faces when they open the mail box to find a something with their name on it. Now, think about it happening over, and over again all year long. Pick from these kids gifts ideas to delight the children in your life. Your children will love the gifts you picked! Many of these gift ideas are items that our own children love, other items are new finds and look like the sort of thing my kids want to find under the Christmas tree or in a birthday present. Have some time to spend with the children, but aren't quite sure what to do? Our free online Kids Crafts Library is filled with ideas for crafts, activities, and science experiments. Are you planning a kids birthday party? Start with free tips for planning a children's birthday party. Then think about the birthday party theme. Next choose free activities for a birthday party and then comes the decisions about party loot bags. Pick a special birthday present from Kids Gifts. And although your kid�s may not think of bedding as a birthday gift our friends at Beyond Bedding have some wild kids bedding like funky childrens zebra bedding to cool camo kids bedding. These free childrens crafts, kids activities and science projects should be fun for one or more kids as long as the adults plan to be involved too. Most of the craft projects use items commonly found around the house. It could be anything from an empty milk carton to a newspaper. There is a featured projects section to highlight new activities and seasonal ideas that will be fun for kids. Or pick the section of the free kids craft library with the type of kids activities that you are looking for. 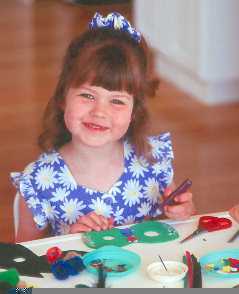 Fun Activities - Family crafts and activities that are just right for all ages. Kids Games - All kinds of games including cooperative, large group, indoor, outdoor and 2 player games. Kids Science Projects - ideas for science experiments and topics. Holiday Activities - crafts for holidays throughout the year. Birthday Parties - birthday party ideas, activities, and planning tips. Kids Themes - crafts, games, and activities all about one theme. Pick your topic and plan a summer camp or a themed birthday party. Fun Foods for Kids - craft ideas that involve food! Summer Kids Crafts - crafts and games for summer. Crafts for Younger Children - craft ideas for younger children (under 4 years). 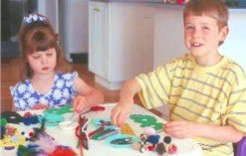 Crafts for Older Children - crafts for older children (over 8 years). Crafts from Recycled Items - ideas for crafts from recycled items. 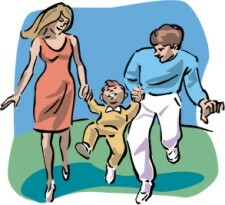 Articles for Parents - articles about families or parenting. Creative Kids at Home Blog. Interested in finding out how other families have managed the day-to-day challenges of parenting? We've collected articles on everything from breastfeeding to what to do when spending time with an older child. 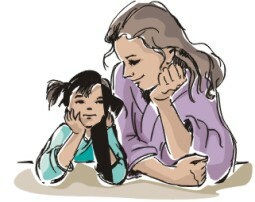 You'll enjoy these parenting stories and may even find some new ideas for your family. We want kids to have fun and be creative. Send us a note if you have any questions on kids gifts or crafts. Our mission is to encourage kids to have fun and be creative! 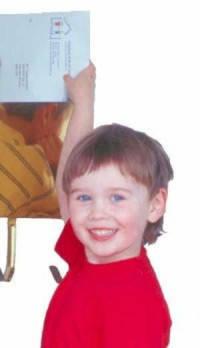 Christmas and Birthday gifts to delight the children you love.